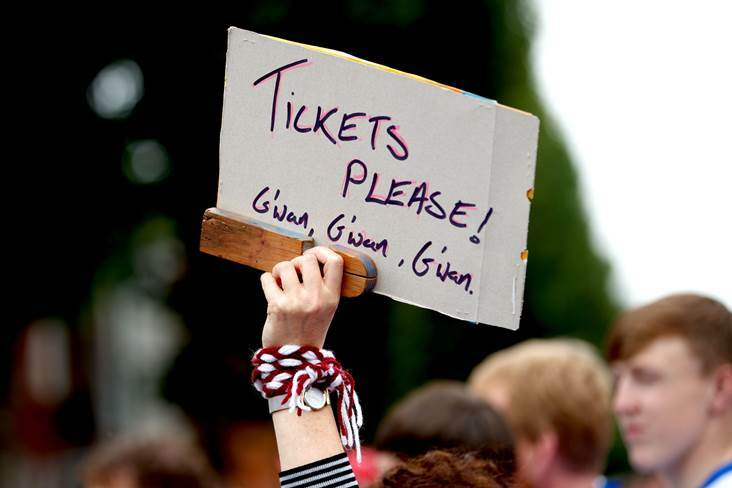 Any All-Ireland hurling and football final tickets being sold in excess of face value on touting websites will be automatically cancelled. That's the warning from GAA HQ which, in a statement today, says: "Tickets for GAA All-Ireland Finals are distributed directly to our Clubs and County Committees. "Any tickets being sold in excess of face value on touting websites that are brought to the attention of the GAA will be automatically cancelled. "The Association also routinely monitors ticket touting websites and where possible, endeavours to establish the original source of the tickets, taking action where necessary. "We look forward to the co-operation of our members and supporters in this matter and urge everyone to purchase tickets from official sources only".